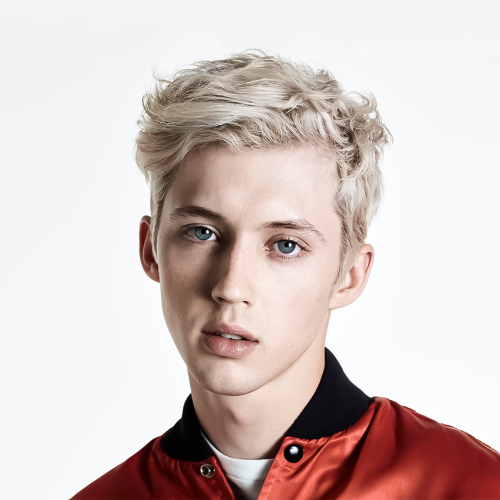 Troye Sivan Mellet (born 5 June 1995 in Johannesburg, South Africa), better known as Troye Sivan, is an Australian actor, YouTuber and singer-songwriter. His YouTube channel has over 250 million views and more than 4,1 million subscribers. He is the third most subscribed Australian YouTube channel. In July of 2014 he released his first single titled “Happy Little Pill” from the TRXYE EP that was released on August 15 2014. As an actor, he played young James Howlett in the 2009 X-Men film X-Men Origins: Wolverine, and most recently has starred in the Spud film trilogy. On the day of his 18th birthday, the June 5, 2013, Troye signs a record deal with Universal Music, and releases his new EP, entitled TRXYE, through EMI Music Australia in August 2014. In October 2015, during his first world tour, he announced his debut album, Blue Neighbourhood, released on December 4, 2015. Troye then followed up with his comeback single My My My!, which soared to the top of the iTunes chart and got over one million streams on spotify within its first 24 hours of release. Troye's second album, called "Bloom" was released on August 31, 2018.